Original Notes: I got to try out the @clubsofamerica Beer of the Month club. Perfect for craft beer beginners or those who want to try lots of beer that they can’t get near them. WAY back when I started this insane journey – I believe I was a part of this exact same club and I absolutely loved it. I think I was a member for a year. The only reason I quit was that I lost my job. I noticed that I started to get repeat breweries after a year (personal issue). The beers were different though – so I wasn’t upset as much as bummed I wasn’t getting different beer from different breweries. I live in a booming area for both local and distributed beer now, and I’ve had 3,323 unique beers. Beer of the Month Club still sent me 4 beers I’ve never had OR heard of. 12 beers – 4 varieties – 3 of each variety and a monthly newsletter with news, information about the breweries and the beer. SAFELY. As I said earlier – I was a member of this club before and every shipment I got came the same way – in a 12×12 box (or close to that size) with a bottom and top part to hold the bottles in safe and secure. 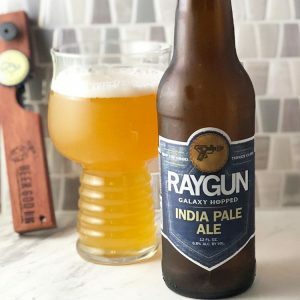 Raygun by Back Pocket Brewing genuinely surprised me. I wrote this about it: I was a little worried when I poured this. It had that “not gonna like it”-IPA smell. But after it sat for a moment and I had a few sips I realized it was pretty tasty. Definitely not a juice bomb or anything but a balanced malt and hop sweetness in it for sure. @backpocketbrewing Raygun Galaxy Hopped IPA. 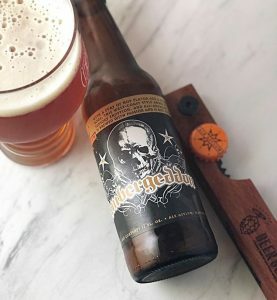 Ambergeddon by Ale Asylum – an Imperial Amber ale by @ale_asylum – not really my cup of beer – but it’s definitely malty and sweet. I didn’t think I was going to finish it after the first few sips but it grew on me. I ended up finishing it and giving me more props than I originally thought. Also, that label art is gorgeous! As I said above – this is a wonderful gift for the craft beer lover in your life. I got my dad into craft beer and he would love the variety of these packs. If someone is just getting into loving good quality craft beer – consider telling them about this – or even better, get them a month and see what they think. Also, if you’re in an area where you can’t get a lot of quality microbrews – this is just perfect for you. Disclaimer: I was sent this product free of charge – this has not affected my review or the information provided in any way. 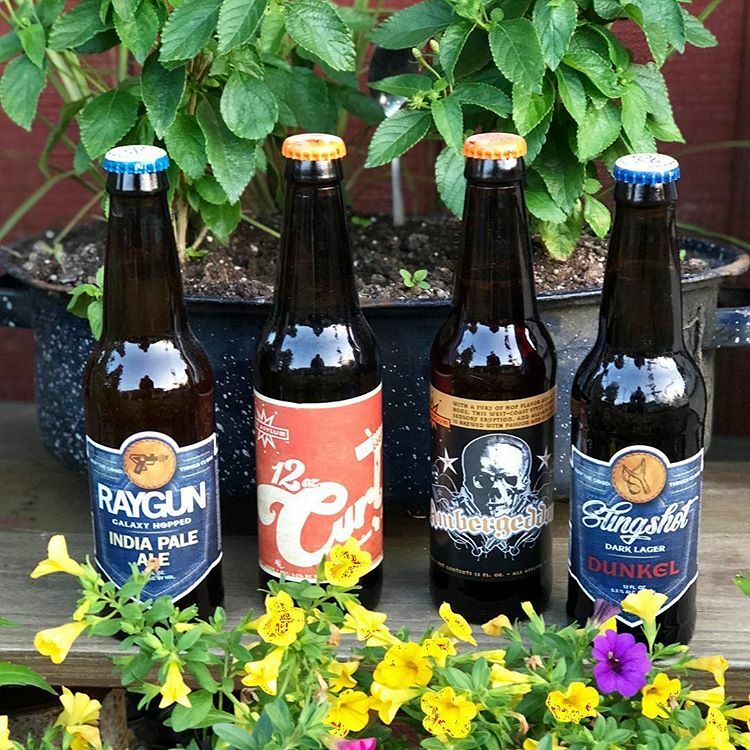 Each month we feature fresh and unique craft beer from two or three breweries that are focused on the highest quality of beer. Our Beer of the Month Club members receive monthly beer shipments delivered straight to their door. Each month, the recipient will receive 12 bottles of rare craft beer with 4 different varieties in each shipment. Each month we send out a variety of craft beer styles including Ales, IPAs, Stouts, Porters, Lagers, Bocks, and more! Our Beer of the Month Club also doesn’t skimp on size so we’re sending you 12 full-sized 12-ounce bottles that will treat you or someone special to great tasting beer all month long. Prev Review: Rinse/Repeat Galaxy by Westbrook Brewing Co.